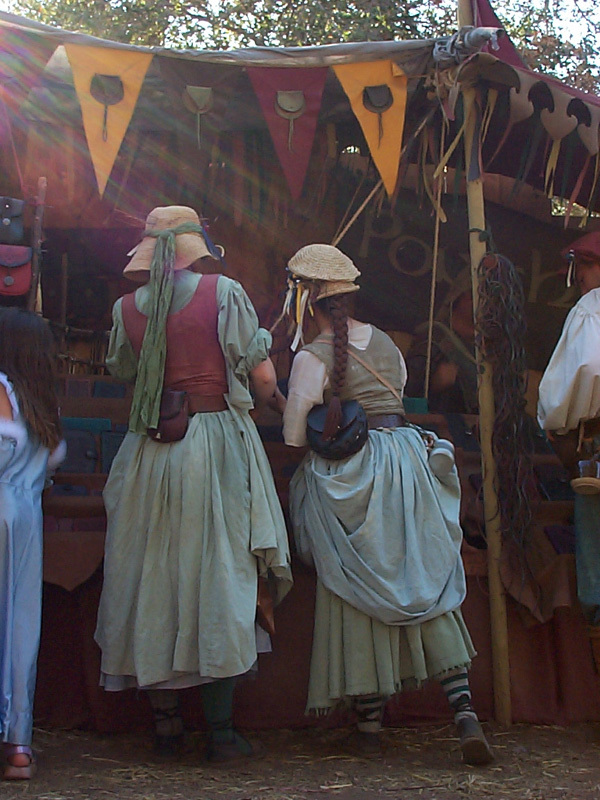 Custom period costumes from medieval to pirate to rockabilly and everything in between. This site is a collection of costume projects by the Rogues of Thread (and things that inspire us). We are two girls who might be sewing out our frustrations over poor quality, poorly researched and generally unacceptable costumes we see. We think we can do better, or at least please some of the people some of the time. While we are both influenced by the fullness of history and current fashion, traditional and non-sewing techniques and materials, and fascinating fabrics, we make all of our pieces with our four hands, one project at a time. Our garments are designed thoughtfully, made by hand and intended to enhance your costume effort or wardrobe. We construct them well so that they will last for many seasons. Whether we are sewing for ourselves, family, close or new friends, or you, each piece is a labor of love. Should you happen to be curious about the name of the blog, By the Bodkin, please visit this post on its origin. Inquiries and comments welcome: roguesofthread@gmail.com. or 80five / 270-5906 or 598-6170.